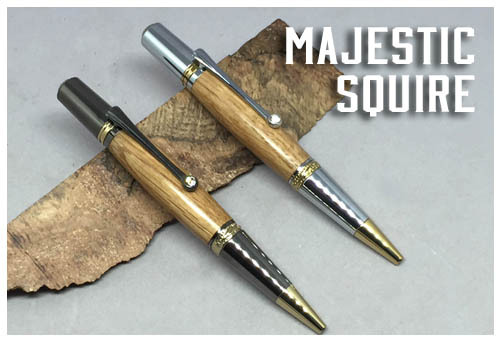 This style pen is called the "Majestic" style. This pen is simply stunning. Well balanced for a relaxed writing experience. Artful details on the band, cap and a crystal on the clip. Superior quality plating will provide years of a brilliant finish. Available in Gold TN & Chrome hardware, Gold TN and Gunmetal hardware, and your choice of wood "flavor." 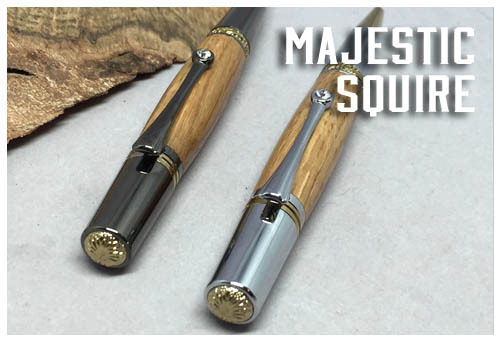 Majestic Squire takes a Parker style refill. Rollerball uses a Schmidt or Schneider refill. Refills are available below and at most office supply stores.